hey ya! how's your summer so far?? been on vacation? going? where? do tell! the kiddos and i have been hanging around the city, staying up waaaaay past our bedtime, and doing fun stuff at home, including baking up some yummy, healthy, goodies. 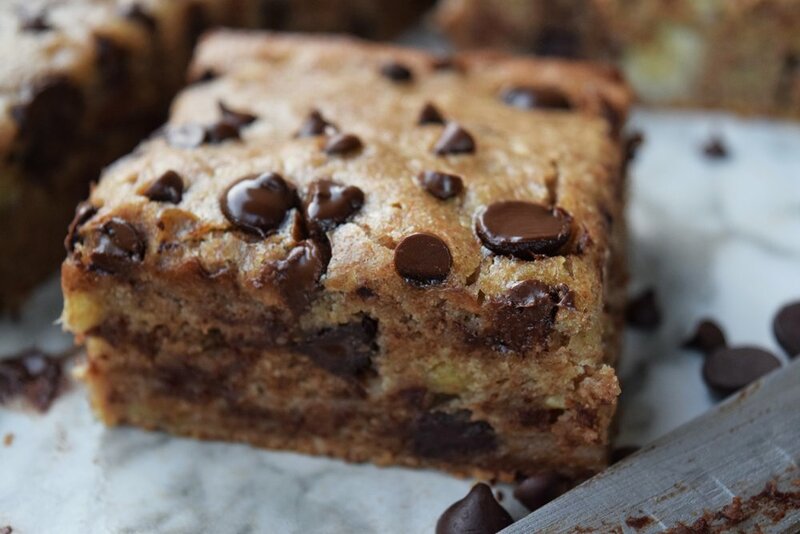 we are definitely vacation ready though:) i hope you and your little ones have a BALL making and eating these Chocolate Chip Banana Blondies! we did and y'all have been DMing me about these bad boys somethin' serious! the wait is over. we kinda ate 90 percent of the pan the same night we made'em but in our defense, Uncle Thew (my older brother), was over and had a lot to do with that! the kiddies knew it was coming this time, but sweet smells always bring them downstairs. always. they just wander aimlessly around the kitchen and ask for "some" but have no idea what they are even asking for. lol. healthy, dairy-free, 100 calorie per serving treat the entire family will love! pour wet ingredients into dry ingredients and mix until just combined. do not over mix. bake until center is cooked through and edges are golden brown; about 30-35 minutes depending on your oven temperature. i reeeeeally wanted to add some toasted pecans or walnuts to the mix but i asked the boys first when i shoulda just dumped them in there when they weren't looking. #oops they said no immediately like i knew they would. womp, womp. look at those dreamy banana chunks. make these and tag me on social! I'd love to see what you bake up! i'll be making them with rolled oats next to see how the texture turns out... feel free to beat me to it. 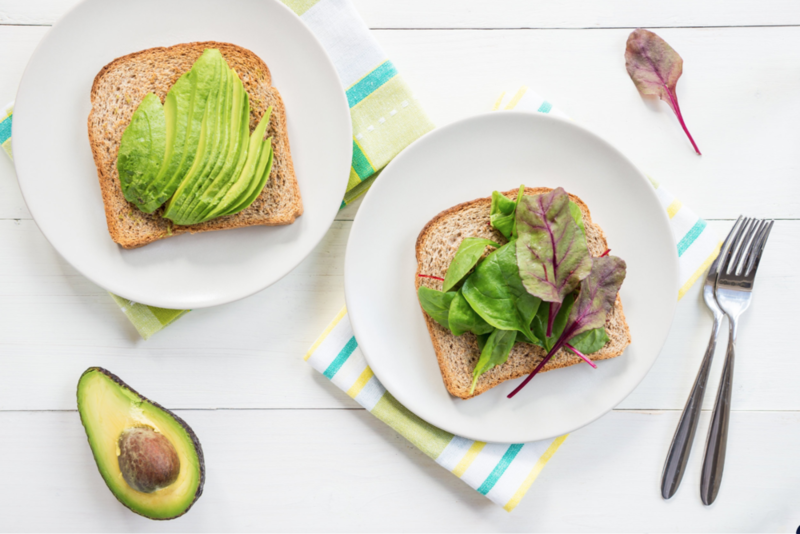 race registration for the Fit Foodie Le 5K & Kids 1K Fun Run is open! we have added a FAMILY PACK option (2 adults + 1 - 3 kids) that we hope you'll take advantage of. we start 5k training this Monday, June 25th guys! download our 5k training calendar and train with me. use #FFL5KTraining on social so i can keep up with you!